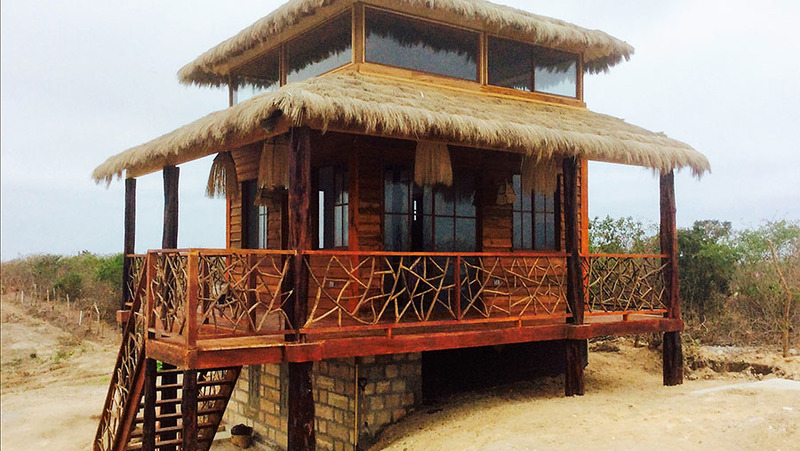 After three month’s labors, we finally finished the Cisterna Cottage. So-called, because it sits atop a 300-cubic meter potable water tank that will quench seven homes on a point overlooking the Pacific Ocean. 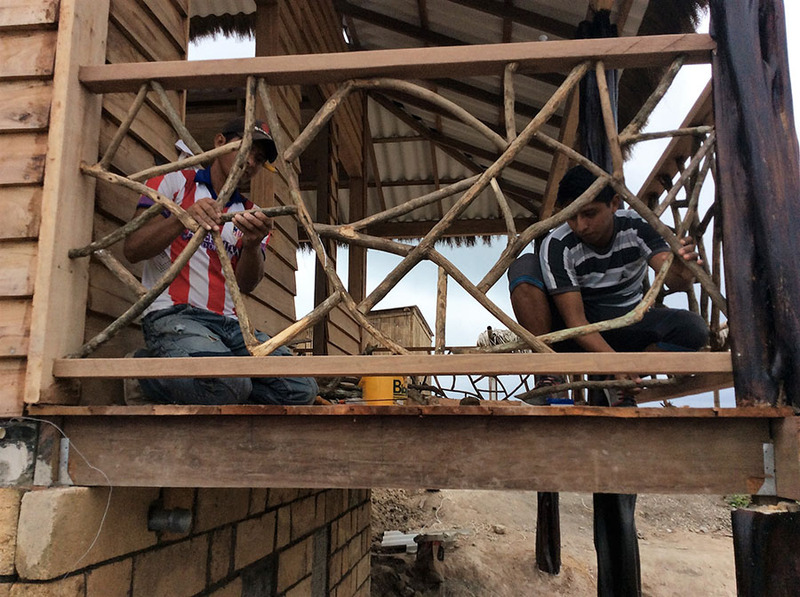 Our weekend getaway, perched upon the water tank, overlooks construction on what will be a small development near Ayangue, a picturesque fishing village on the central coast of Ecuador. This lonely and quiet place to contemplate sunset over whitecaps will soon serve as executive job shack for yours truly. After we finish a model home, the cottage will become a rental. Because it is the first building onsite, the cottage had to set the bar for the rest of our project. Our development concept builds on blending the allure of aboriginal architecture with modern comforts. 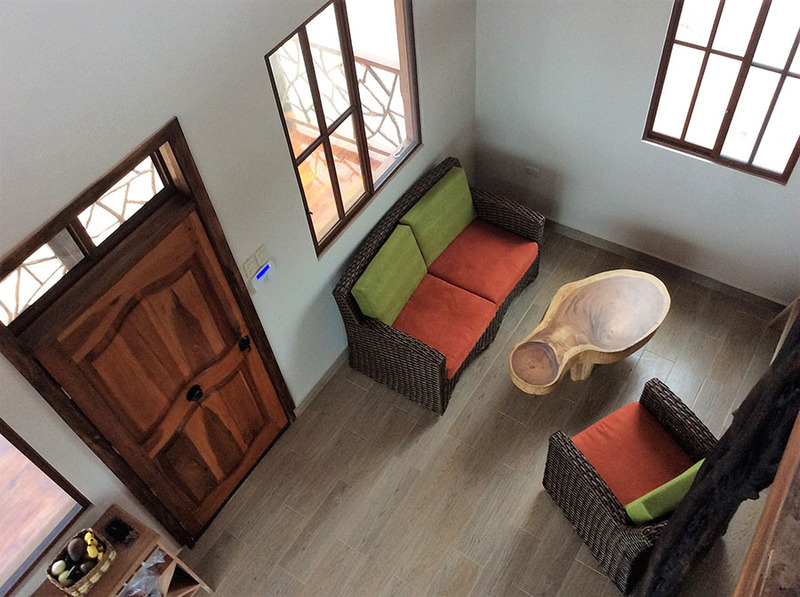 Thatched roofs, gnarly orange wood posts, webbed muyuyo railings and tropical hardwood finishes with cold and hot running water, flush toilets, and even air-conditioning (although you don’t really need it). 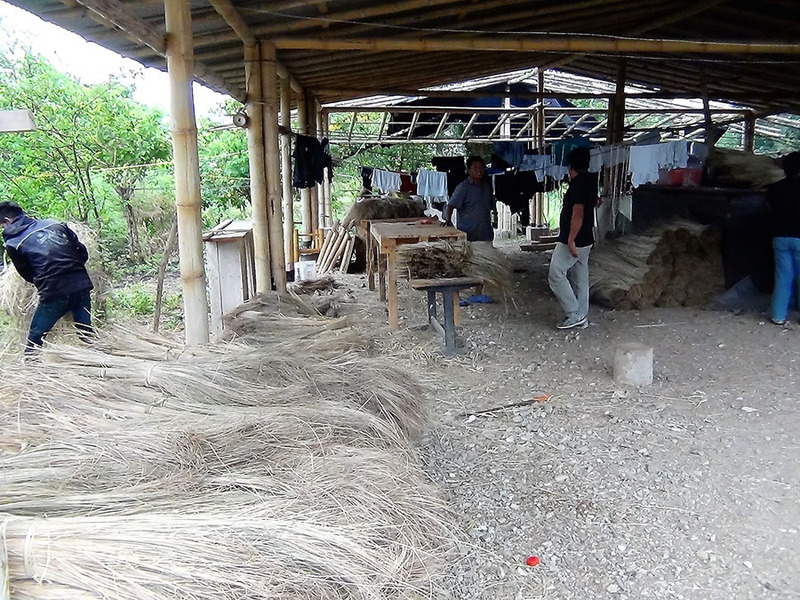 Much of the material we installed, was harvested locally by the selfsame folks that did the work. For me, this was the most interesting part of the job, going deep into the rainforest on horseback, amidst towering bamboo groves, dense, tropical greenery, and the haunting cry of howler monkeys, to watch our machete wielding workmen cut the palm thatch that became our roofing, the brambles that became our railings, and the logs that became our posts. 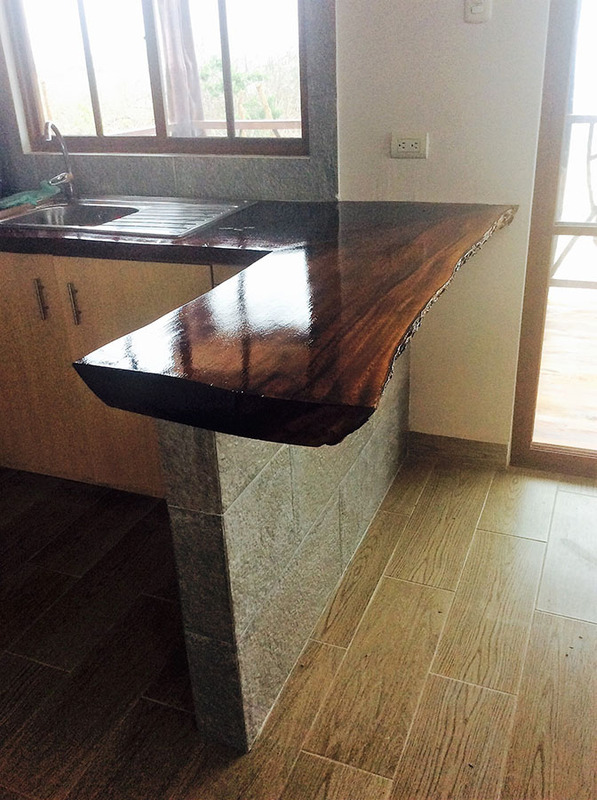 We chose the tree that became our kitchen countertop. 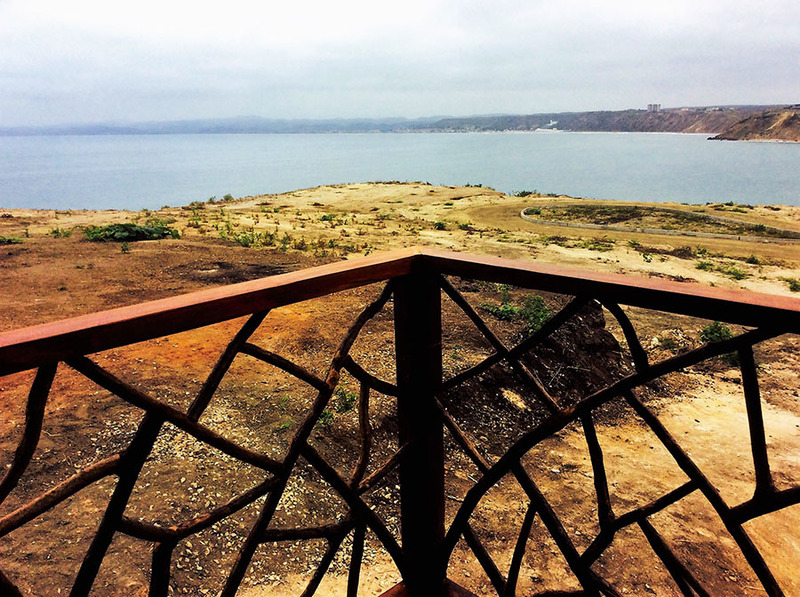 Our plumbing fixtures and appliances, while not of neighborhood manufacture, were made in Ecuador. The furnishings, chairs, bed, tables, and even our light fixtures were made locally. 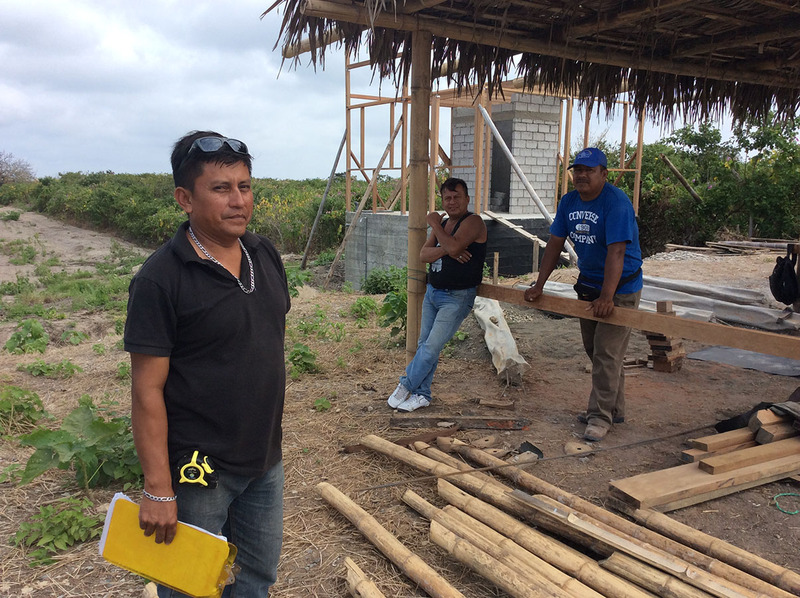 In future posts, I’ll take you to see how some of the building components were harvested, and literally manufactured (manu means by hand), then placed on a little house whose every board and nail has a local, human connection and so a deeper meaning. 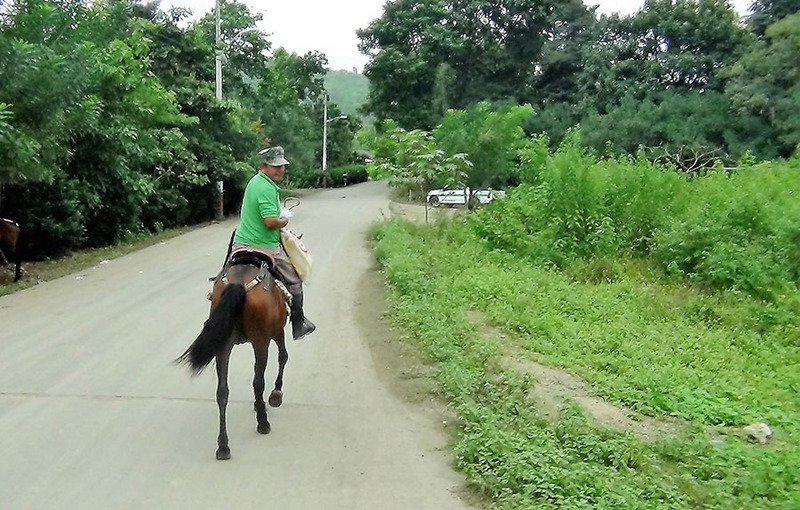 Our contractor and field guide, Javier Aurelio Gonzalez Pihuave, is not only a great builder, he knows the people and provided us the personal recommendations needed to get back into the forests, the mines, and the remote workshops to see the materials harvested and processed. Here, Wilmer (Paco) Dominguez wields a machete cutting the “muyuyo” branches that became the webbed balusters of all our railings. It’s so humid here, the wood does not need to cure – straight from the green tree to the structure, it never shrinks. I was fascinated by the beauty of the “muyuyo” balusters, and the delicate craft of piecing the stems into an artful design. 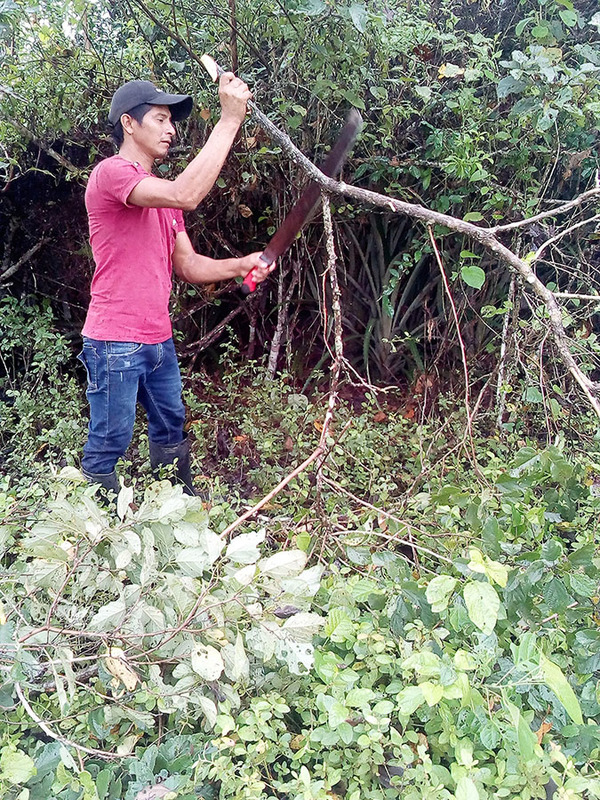 In the village of Dos Mangas, about 5 kilometers east of Manglaralto, Ecuador, we met Ernesto Suarez, and got to see how his family processes the toquilla palm that became our roofing material. In a future post, you’ll see how it’s harvested, processed, sewed into shingles and installed. 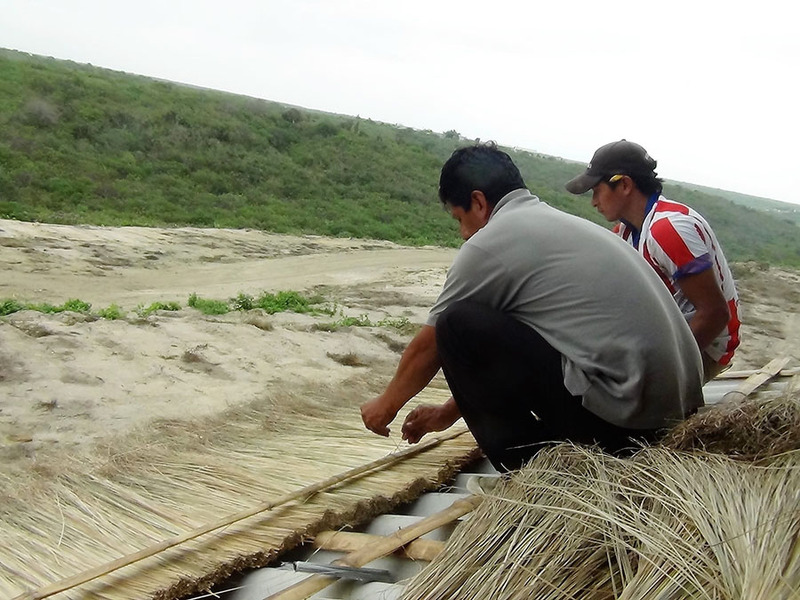 After harvesting the toquilla palm and processing it into shingles, the selfsame folks install it on our cottage roof. 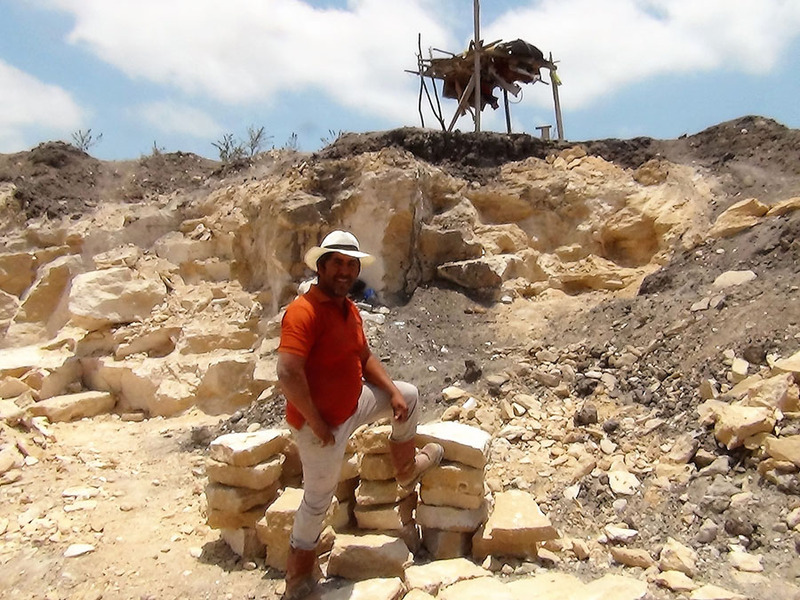 Our foundation walls lined with quarried coral stone from the comuna (commune) of Santa Elena. Our septic tank was made of the same material – a pity to use such noble rock for such lowly purpose. But then again, we used mahogany to frame the cottage, and now most of the wood buried behind gypsum (which is also locally sourced). But of course, one of the main local features did not need to be harvested at all, just enjoyed. — Fernando Pagés Ruiz is ProTradeCraft's Latin America Editor. He is currently building a business in Ecuador and a house in Mexico. Formerly a builder in the Great Plains and the Mountain States, Fernando is also the author of Building an Affordable House and Affordable Remodel (Taunton Press).